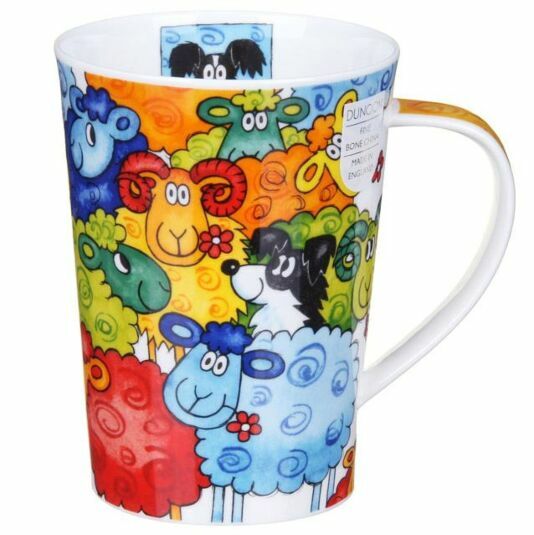 Woolly sheep with brightly coloured coats feature on this tall mug, all smiling, some with curly horns, some chewing flowers. The sheep are every colour of the rainbow, from blue and yellow to orange and green, with curly swirls depicted in their fleeces. The ‘hidden’ creature on this mug is a happy black and white sheepdog whose portrait is also inside the rim. 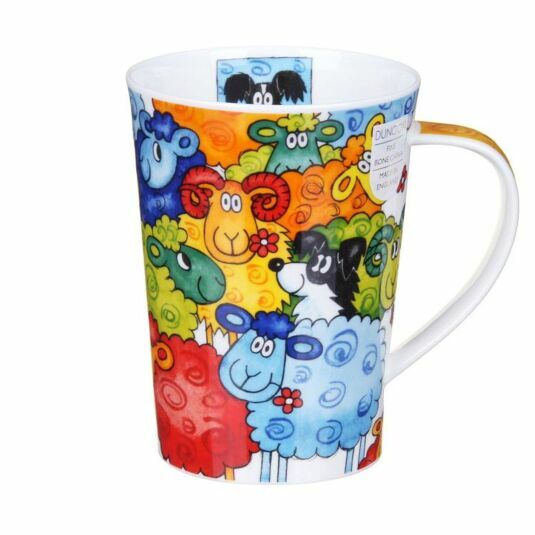 This vibrant mug from Dunoon is a great gift for anyone who loves sheep and has a sense of humour.